How do you cut your card bases to avoid wasting lots of card? It all depends on where you live as card sizes vary around the world! Most countries use the International paper sizes whereas the US and Canada use US letter sizes. If you make a comparison of the most commonly used paper - International A4 with US Letter you can see that US Letter is wider than A4. A4 is longer than US Letter. 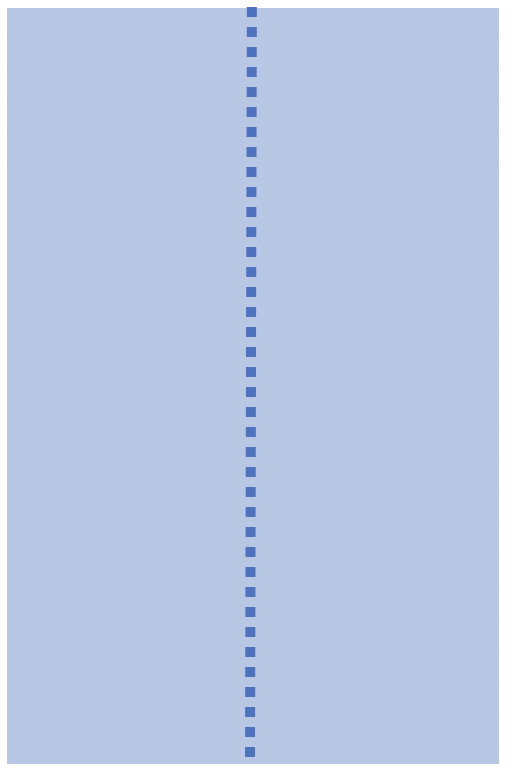 It is further complicated by the UK using both Imperial (inches) and Metric (millimetres and centimetres). 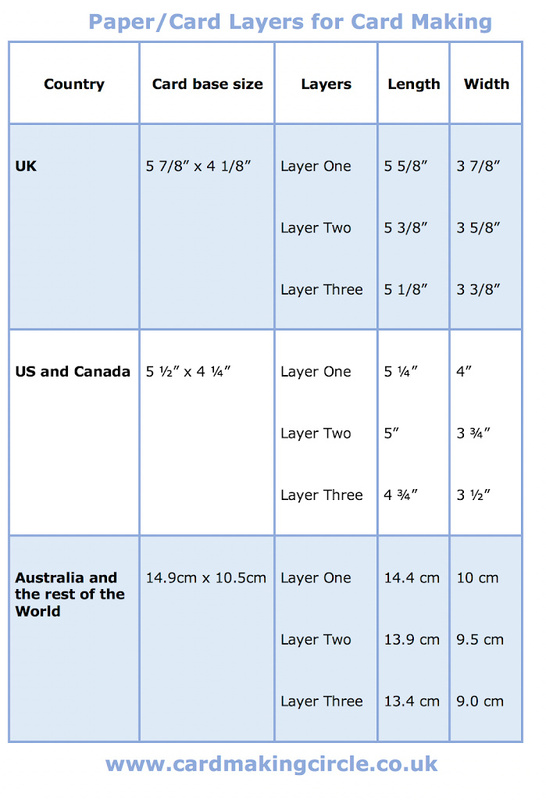 For card making, UK crafters usually (but not exclusively) opt for Imperial measurements. 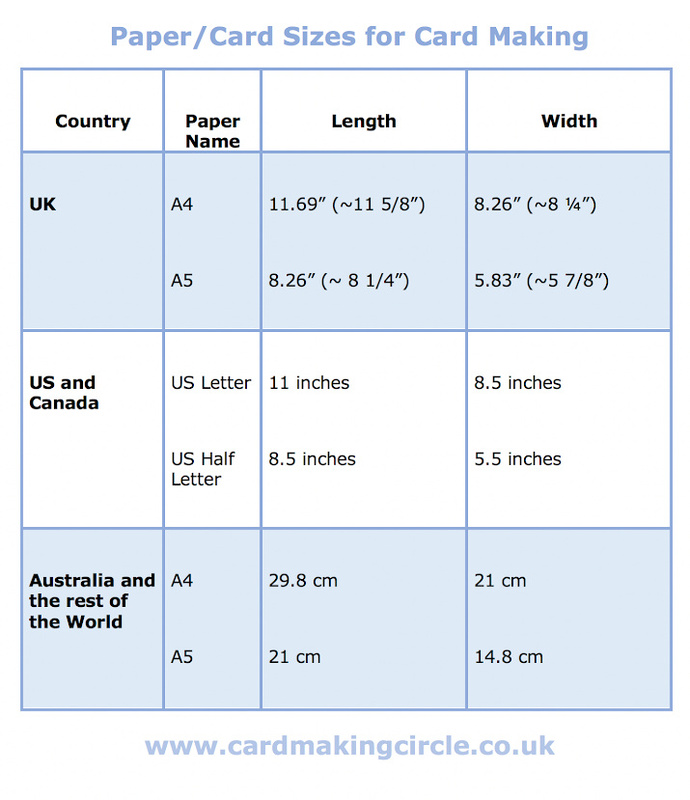 Which makes life a little bit difficult for UK card makers when the paper is sold in International metric measurements! Wherever you live cutting either A4 paper/card or US Letter creates two card bases when divided in half. Cut along the long side to create two portrait side fold cards or two landscape top fold cards. Cut along the short side to create two portrait top fold cards or two landscape side fold cards. Card layers can be any size you wish. But usually individuals working in Imperial measurements use card layers that decrease by 1/4" for each layer. 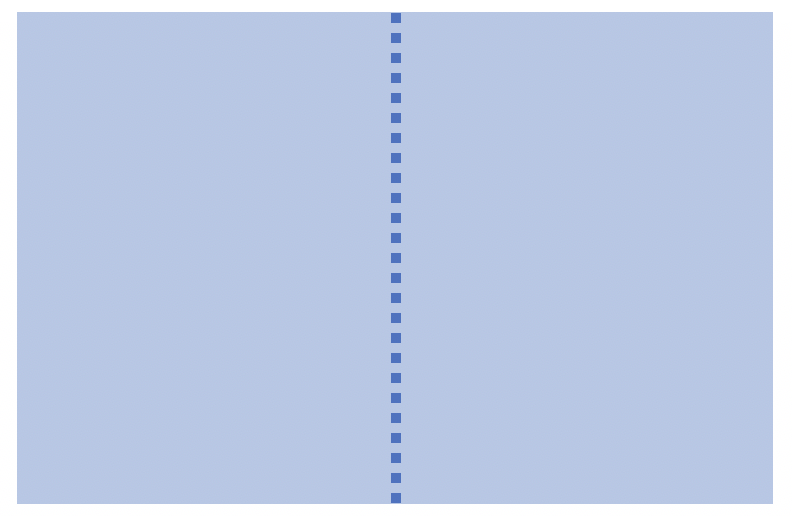 The metric equivalent is to decrease by 0.5cm for each layer. The most economical way to cut card for square cards is to use 12" x 12" card stock as this is easier to divide into squares. For example with a 12' x 12" piece of card you can make four 3" x 3" cards, three 4" x 4" cards and two 6" x 6" cards. 3" x 3" cards cut card bases 6" x 3"
4" x 4" cards cut card bases 8" x 4"
6" x 6" cards cut card bases 12" x 6"
12" x 12" card is available in most colours as this is a popular card size for scrapbooking. The sizes given are just a guide not a rule. Cards can be any size.